Our Client then settled the first instalment of our South Africa company setup fee to commence the engagement. Our Client approved the corporate structure and confirmed their preferred company names for the new entity. The Incorporation Team obtained the tax registration number from South African Revenue Service (SARS) and emailed the same to our Client. Within 1 week of the bank visit, the Banking Team successfully secured a multi-currency corporate bank account for our Client’s new company. The bank directly emailed our Client the bank account numbers. During our Client’s visit to South Africa, Healy Consultants Group PLC’s affiliate office prepared all the certified corporate documents including certificate of incorporation, M&AA and passed the same to our Client. Original company documents are to be held by Healy Consultants Group PLC as per Government regulations. Our client, Mr. Julien Voisey, based out of France, is an independent consultant, Safety and Environment engineer and founder of Epione Consulting, a company specialized in HSE (Health, Safety & Environment) consultancy for industrial and technological companies. He wished to establish a company and bank account in Africa in order to venture into the lucrative African HSE consultancy markets. Having found Healy Consultants Group PLC business website through Google, Mr. Voisey approached Healy Consultants in October 2016 to determine the best country in Africa to register his business. After expert analysis and consultation with Healy Consultants’ Africa business setup experts, Mr. Voisey decided to register his company in South Africa. Healy Consultants prepared and emailed Mr. Voisey an engagement advancement proposal for setting up a South Africa private limited company. Upon receipt of scan copies of the signed engagement letter and the required due diligence documents from Mr. Voisey a detailed engagement plan, a virtual office agreement and detailed business plan to facilitate bank account opening. The engagement plan included a detailed step-by-step engagement overview to ensure that there would be no surprises for Mr. Voisey during the engagement. Mr. Voisey then settled Healy Consultants engagement fees in three instalments and confirmed his required corporate structure for the South African company, with himself acting as sole shareholder and Healy Consultants acting as the nominee resident director, public officer and South Africa resident company secretary. Healy Consultants conducted a name search with the Companies and Intellectual Property Commission of South Africa (CIPC) and received an approval for Mr. Voisey’s preferred company name ‘Epione Global Consulting Pty Ltd’. Healy Consultants then obtained the necessary company incorporation documents from the CIPC, prepared the memorandum of incorporation and a power of attorney and emailed the same to Mr. Voisey for signature. Upon receipt of scans of the signed aforementioned documents, Healy Consultants submitted a complete quality company incorporation application to CIPC for consideration. Within 10 business days, Healy Consultants obtained full set of approved incorporation documents from the CIPC including a certificate of incorporation, and immediately forwarded the same to Mr. Voisey. Within one day Healy Consultants prepared the Share Certificates, Directors Resolution and Inaugural Minutes and emailed the same to Mr. Voisey for signature. With the company successfully incorporated and tax number received, Healy Consultants approached multiple South African banks to assist Mr. Voisey secure corporate bank account for the newly registered entity. Healy Consultants and Mr. Voisey settled for Nedbank as the preferred banking institutions, thereafter Healy Consultants banking team obtained and prepared the corporate bank account opening form and emailed the same to Mr. Voisey for signature. Further, Nedbank advised that the bank forms had to be notarized and apostilled being Mr. Voisey was based outside of South Africa. Upon receipt of the signed, notarized and attested forms, Healy Consultants banking team submitted a quality corporate bank account application to Nedbank for consideration. Within 3 weeks thereafter, the multicurrency corporate bank account was approved by Nedbank without Mr. Voisey having to travel to South Africa. Upon receipt of all the original company incorporation documents from CIP and internet banking correspondence from Nedbank, Healy Consultants couriered the complete company kit to Mr. Voisey’s preferred address in France. Our Client specializes in both the commercial and residential development sectors owning and managing their own developments. They operate across the residential, commercial and hospitality sectors with offices in Birmingham and London. Our client also has offices in Dubai and Hong Kong and were looking to expand its South African client base. Having found Healy Consultants Group PLC business website through Google, our Client rang us in May 2018 to determine if our Firm could assist the engagement and complete the engagement from end to end before September. After expert analysis and deliberations with Kunal Fabiani, Healy Consultants Group’s South Africa business setup expert, our Client decided to proceed. Healy Consultants Group PLC prepared and emailed our Client an engagement advancement proposal including a formal invoice, engagement letter, due diligence checklist and a list of our existing and past clients for professional refence. 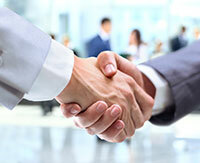 Our Client promptly provided us with the due diligence documents and settled our fees in full. Thereafter, Healy Consultants Group PLC prepared a detailed engagement project plan mapping out a step by step plan to engagement completion as well as a quality business plan to assist with corporate bank account opening. Our client had already reserved their preferred company name with another service provider, consequently this reservation had to be transferred to Healy Consultants South African corporate secretary before the company registration application could be submitted. In the meantime, Healy Consultants Group PLC prepared the CIPC corporate registration forms and emailed the same to our Client for signature in the UK and courier return to Cape Town. Upon receipt of the original signed documents from our Client, Healy Consultants Group PLC submitted the complete quality Pty Ltd registration application with the CIPC. Within 2 weeks of the application submission, the CIPC approved the registration of the new company and issued a digital copy of the CoR 14.3 certificate. Healy Consultants Group PLC immediately emailed our Client a scan copy of the same. With the company registration now complete, Healy Consultants Group PLC approached our Client preferred bank, HSBC South Africa, to secure in writing their interest for our Client’s business activity and emailed the initial set of due diligence documents to the bank. HSBC bank in South Africa reverted requesting proof of our Client’s existing relationship with HSBC globally and a formal reference letter from a HSBC relationship manager. Since our Client had recently established its presence in Hong Kong, our client communicated with their RM to secure this requirement. In the meantime, as back up options, Kunal recommended our Client consider opening an corporate account with a strong local bank such as Nedbank. After 2 weeks of delay from HSBC Hong Kong, our client was unable to secure a reference letter and consequently instructed Healy Consultants Group PLC to proceed to with an application with Nedbank. Within 3 days, junior client engagement manager, Henry Beck, assisted our Client complete and submit an application for Nedbank’s review. Within 10 business days, Nedbank confirmed interest in onboarding our Client and requested final forms to be signed, notarized by a Public Notary in the UK and couriered back to Cape Town. Within 3 days upon receipt of the signed and notarized bank forms, Nedbank approved the multicurrency corporate bank account and emailed Healy Consultants Group PLC the bank account numbers. Within the following week, Nedbank’s onboarding officer scheduled a call with the bank signatory to conduct a brief KYC interview and to supply internet banking login details. Over the following days our client was to inject the minimum deposit to activate the account. To complete the engagement, Healy Consultants Group PLC will courier the original corporate documents to our Client’s HQ office in UK. If required, Healy Consultants Group PLC will further provide monthly and quarterly accounting and tax services to support our Client until they hire their own local accountants.